The community of Gitwangak in northwestern British Columbia is mourning the loss of a 135-year-old totem pole. Volunteer fire chief Brett Johnson told CBC that the fire appears to have been an act of deliberate arson and they couldn't save the totem pole even though firefighters dropped 2,800 gallons of water on the historic landmark over the course of five hours. The Supernatural Halibut pole was erected around 1880 and elder Art Matthews says it's a huge loss for the community. "It's just like a death to us," he said. 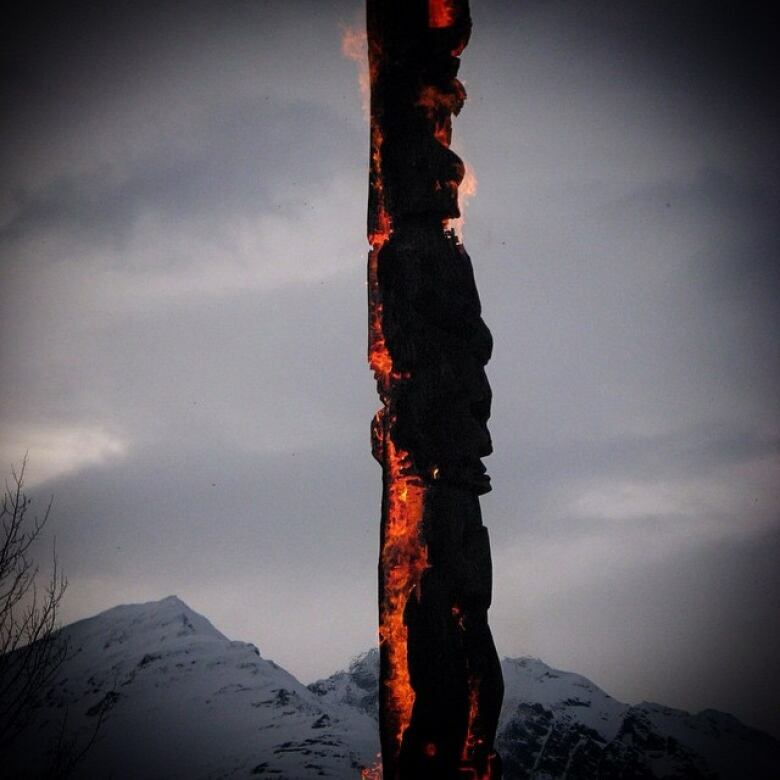 "Feels like we buried all our ancestors all over again, like they died when the totem pole started to burn." Johnson said the totem pole was burning from the inside and it might have been saved if they were able to cut it down but a chainsaw wasn't available. Robert Pictou said on Facebook that it was "sad to see this act of violence. "People without the knowledge of their past, history, origin and culture is like a tree without roots." Haisla totem returns home to B.C.